After Melbourne the temptation would be to write about Sydney in comparative terms. Compare them between them, or make the kind of comparison people who travel a lot usually do like: “Well, you know… Melbourne is like New York and Sydney is more like Los Angeles”. But I will not go on this path (even if it is a little bit true). To try to explain to you the top things to love in Sydney, I had first to understand the English language used here. Literally. – You were in Melbs and Tassie mate? Just got to Sydney? – Yep! What should I do here? – Well you should start with a brekkie at Bondi, try the avo toast, and later this arvo you should take the ferry to Manly. The view is beaut mate. Don’t forget your sunnies and havis. After that buy a few shrimps – it shouldn’t be to exy – go to Bronte and just throw a shrimp on the barbie. Hold on 2 seconds, my mobes is ringing. Yeah, hello? Exaggerated? Clearly. But I am really discovering a new version of the English language. Do you want to give a try? Well, we cannot start the explanation of the “barbie” without you seeing a promotional video of Australia of 1984 (thanks Cath for sharing that one!). What was our surprise, while we were doing our jogging (ok, we were walking… but fast!) on the Coastal walk, also known as the Bondi to Coogee Walk and arrived at Bronte Beach. We have found a big garden facing the sea, with several tables and public barbecues. PUBLIC BARBECUES! For free. FOR FREE! And the surprise got even bigger when we checked out the cleanliness of it. It was spotless. Even cleaner than my home barbecue, if I had one. – Take it easy. Buy some good meat or fish, gather your family or friends, head to the barbecue, prepare your meal facing the sea and enjoy your day. Could it get any better? – Respect everyone. Being laid back does not mean being disrespectful to others. On the contrary, Australians are cool yet extremely respectful. Everything is in its right place, people will leave everything spotless for the ones following, there is no garbage on the street and people follow the rules. So if you are staying 3 to 4 days in Sydney, save one evening to buy some bangers, a few vegetables for a barbie and have a lovely evening in Bronte Beach. Yes, in Australia the sun shines. While I am writing these lines the sky is grey and it hasn’t stopped raining, but USUALLY the sun shines. Sydney is a city made for outdoors: beaches, public parks, a Royal Botanic Garden, beer gardens, terraces, ferries. So put your sunnies on and your havis, don’t forget your bathers, open your eyes wide open and follow me! 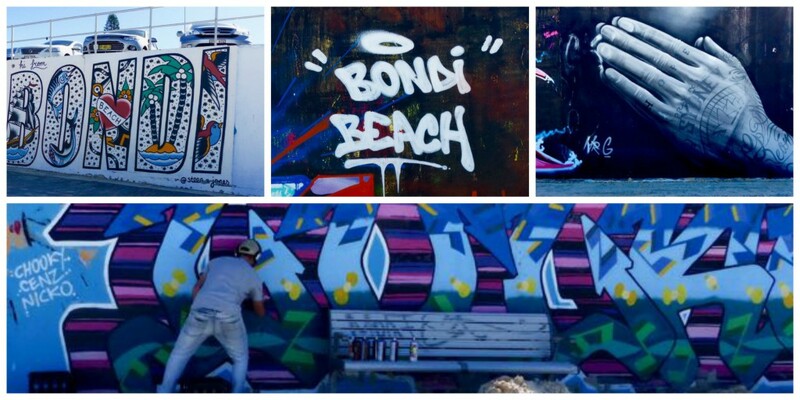 – Start at Bondi Beach and enjoy the street art. Enjoy being a tourist and take loads of pictures. 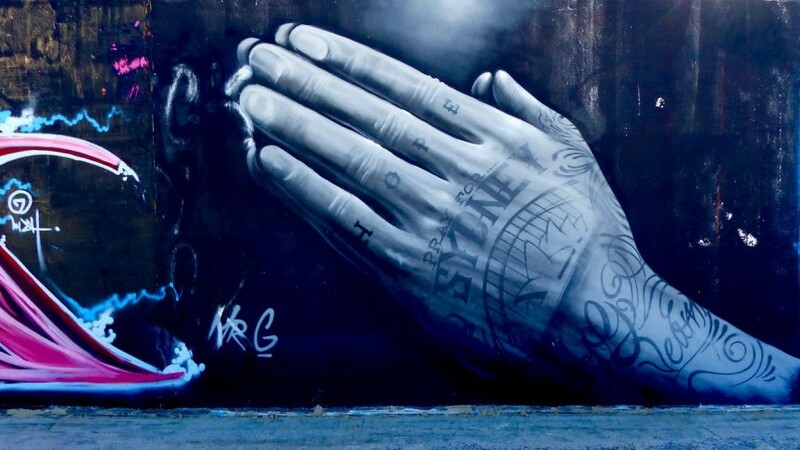 You might get lucky and see an artist creating on the spot. 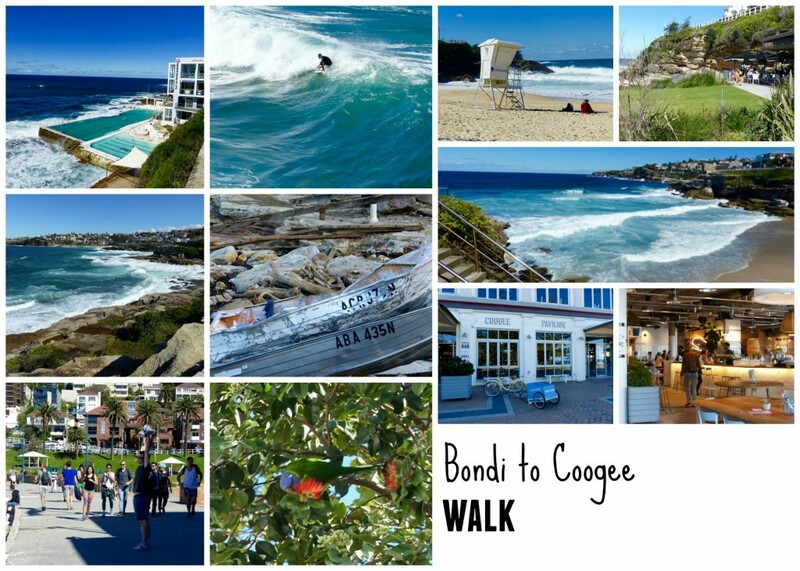 – Keep on with the Costal Walk from Bondi to Coogee (2 to 3 hours depending on how many pictures you will take). 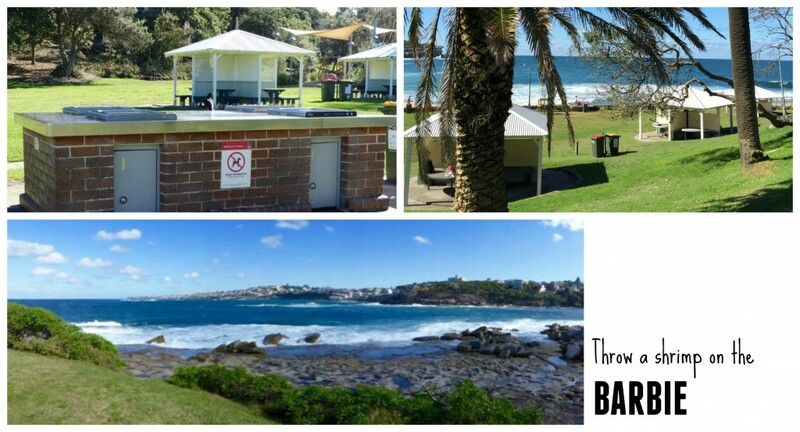 As I have vividly recommended, do the walk and stop half way for a barbie at Bronte, and don’t forget to put sunscreen. For the water there are taps with drinkable water so bring a bottle to fill up. Otherwise, dehydration awaits my friend. Pay attention to the trees as there are colorful and noisy fellows a bit everywhere around you. I should also mention that there is a reward at the end: go to the Coogee Pavilion for a coffee or a drink and rest after the effort. 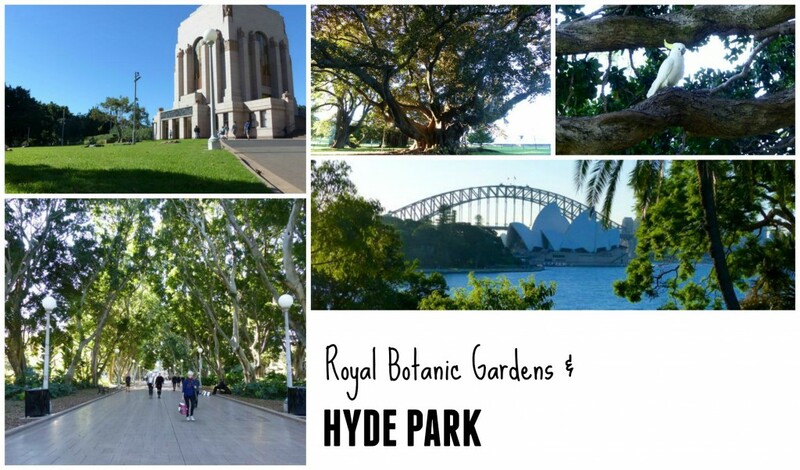 – Take a bus to the CBD (Central Business District) and chill-out in Sydney’s Hyde Park and later on in the Royal Botanic Gardens. When in Rome, do like the Romans do! Grab a take-away sandwich or salad and just lay on the grass and read a book or listen to your favorite playlist. 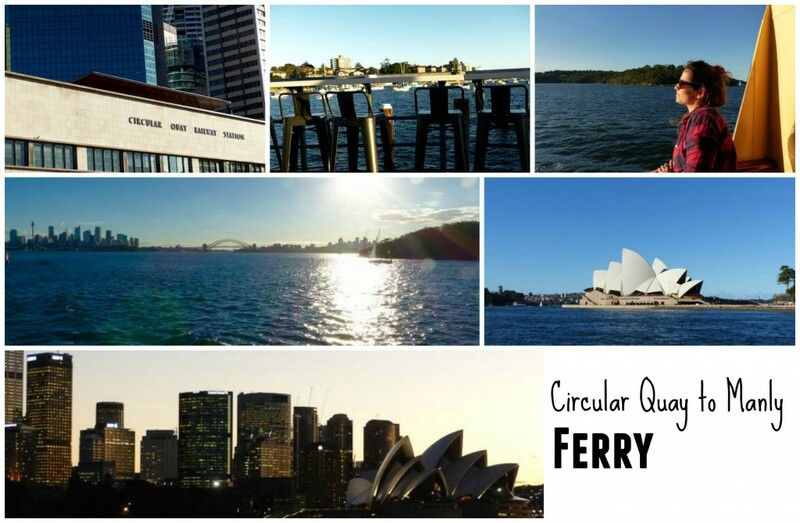 – Go down and walk up to the Circular Quay and get the ferry up to Manly (try to catch the sunset on your way back). This is the ONE THING you cannot miss. Firstly, because you can see the worldwide famous Sydney Opera House originally imagined by the Danish architect Jørn Utzon. Secondly, because you will see the Sydney Harbour Bridge. Thirdly, because you will be on a boat, on the harbor and you are heading to a pretty cool marina & beach! 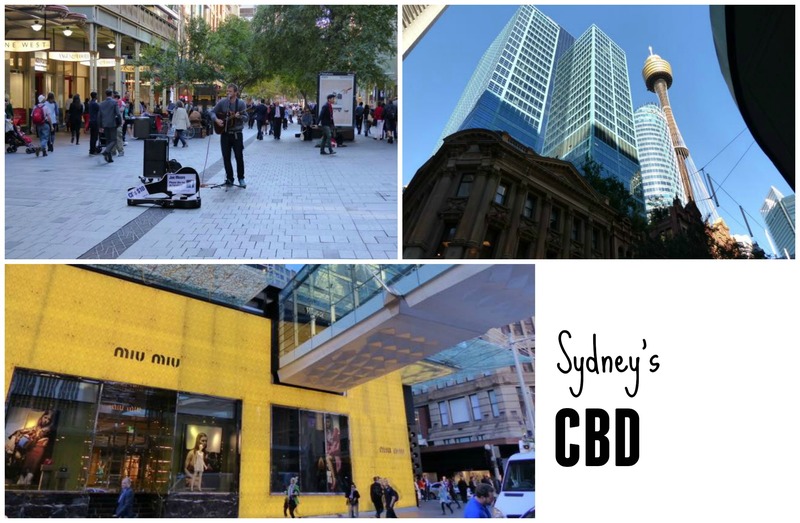 – Walk your way through the CBD to see the busy and serious side of Sydney and realize that people actually work there. The place is also great for shopping and to watch the performance of different street artists. Thanks Joe Moore for the great show! It won’t. But IF it rains you can do to a bunch of tourist activities (just go on TripAdvisor and you will find everything you need). You can also not lose time and practice your English by going to a movie (get ready, prices are very salty, you might have to skip the popcorn). Go to Westfield on Bondi Junction and do some shopping! Regarding the havis, even if you see everyone wearing them, think twice before you decide to go with them as there might be plenty of walk in your day and you might get sore feet. But I have to say it is quite funny, yet extremely agreeable, to see people wearing their suits or business skirts and wearing havis. A little anecdote especially true in Bondi: I have never seen so many people walking barefeet. As a Brazilian I have to say that I am quite worried. If everyone decides to follow the trend, Havaianas will shut its doors. If the afternoon has a short name it is because it is an important moment in a Sydney day. The city wakes up with the sun. Wake up when the sun comes out and head to Bondi. Be amazed by the number of people running, or surfing. The day starts early, the lunch is a take-away but in exchange people leave work at 5PM. In my former jobs leaving the office around 8PM was the norm. They manage to have time to go to the beach after work, enjoy the time left before the sun goes down. To sum up, it seems that their routine is less “metro-boulot-dodo” as we say in France (subway-job-sleep). 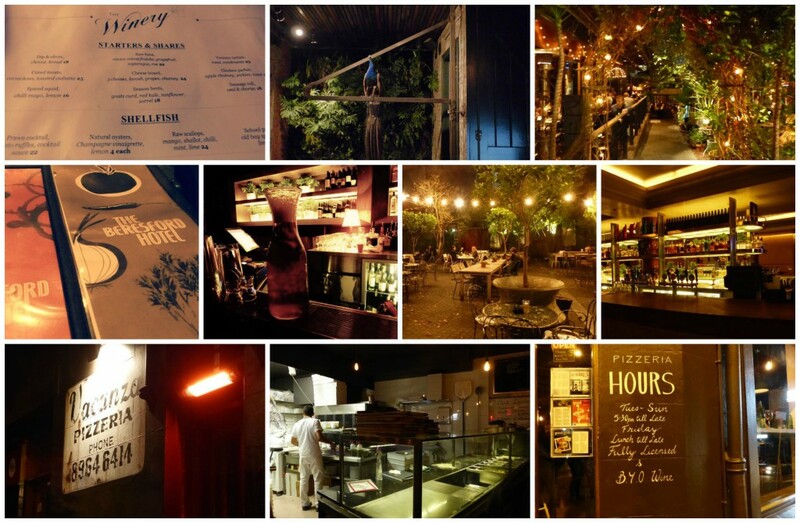 Enjoy the happy hour and warm up at Darlinghurst or Surry Hills (try the jugs, in Sydney they have good cocktails that are a pretty good value for money – apparently they love Aperol Spritz and Pimms so you should have one of them). The Winery and The Beresford Hotel are B-E-A-U-T-I-F-U-L, cocktails are really good and they have huge well-decorated outside spaces. The Beresford Hotel even has a nightclub integrated, so before getting there remember to check out the program. If you want to rediscover the taste of pizza Vacanza is absolutely delicious. The place gets really crowded so try to get a reservation. Do not miss the truffle pizza and order a burrata to start. If you are more in a beach style rhythm follow Sami’s (a Sydney friend) program: go to North Bondi and enjoy the benefits of the happy hour at The Hills Eatery. 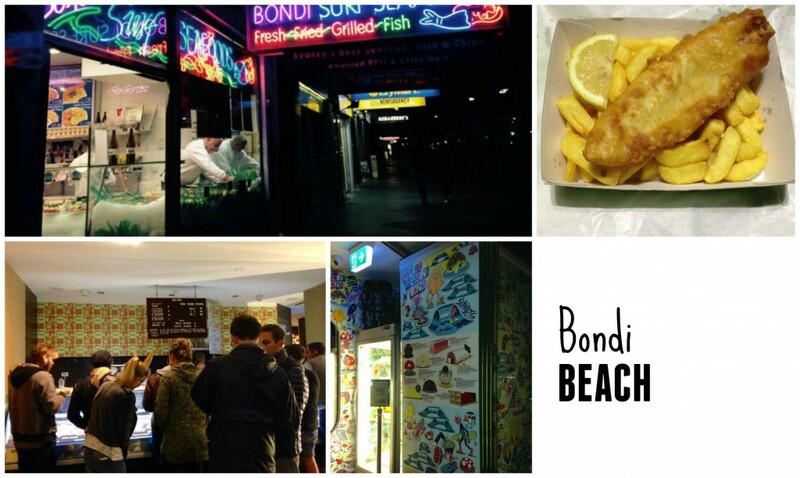 If you like fish get a grilled fish at Bondi Surf Seafood, an award-winning seafood restaurant known for serving the best fish’n’ chips of Sydney (and only at 11 AUD). Get a take-away, don’t forget the aioli sauce and eat it on the beach. Finish by an ice-cream at the uber trendy Gelato Messina, really not expensive for what it is, but you will have to cope with the massive queue. It seems that in Sydney people queue more for ice cream than for night clubs. As anywhere else in Australia footy is a big thing, but in Sydney we have found other sports that fight for Sydney’s heart. The best way to see it is to do the walk from Bondi Beach to Coogee. This 2-hours walk is not only breathtaking but will give you an amazing panorama of how people from Sydney relate to sports. Rugby is a big thing in Sydney. But what really impressed me and really made me think about my life (and thighs) is how people run. My first question to them would be: what do they do for a living? It is incredible how many people are running during office hours and how gorgeous they look. I can also attest that a lot of them do that everyday. As we have loved walking there the first day we decided to do it again, and guess what? We have crossed the same people on our way. But do not feel bad about yourself. If you did have a scenario like the one from Bondi to Coogee, on a path surrounded by marvelous landscapes, you would be running too. You would even go to the outdoor gym to do some push-ups. Or not. In that case you’d might be surfing. Surfing is great for your body, your mind. Surfing in Sydney seems really to be a religion. Nor the rain, the cold or the dangerous currents seem to stop them. Afraid of the sharks that might be waiting for their meal? Then you might be tempted to go to the baths. Like the Roman baths? Nope, don’t get fooled. The baths in Sydney are swimming pools built in the sea. They allow you to swim protected from the hazards of the sea. So don’t do the same mistake I did and put a bathing suit beneath your clothes. Not a water type? Ok, this is my last shot: go play bowling. The ladies playing there seemed pretty good at the game! Gosh this country is expensive. According to the International Comparison Program Australia ranks as number 4 as the most expensive country in the world. Therefore, if you are traveling to Australia keep in mind that prices are a REAL question, especially if you are traveling on a tight budget. marvellous description with great pics, almost felt I was there myself! Thank you so much for your kind words! 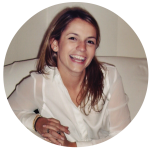 I am really glad you enjoyed reading our mini-Sydney guide. I wish you a lovely day and all the best! Great , ça donne envie…. J’avais déjà dans mes rêves, l’Australie …. Mais tes mots, tes commentaires ciblés, précis, avec un peu d’humour (genre : en faisant notre” jogging”…..! Non, …. Vous marchiez !!!!! Vite, certes, mais vous marchiez !). J’ai l’impression d’être avec vous et de découvrir ces endroits magiques. Merci, profitez bien. Et enjoy! (J’oubliais , maman m’a envoyé une très joli photo de vous deux en Tasmanie …. J’adore !!!! ).